Something beautiful happens when danish businesses come together (how can it not"!). 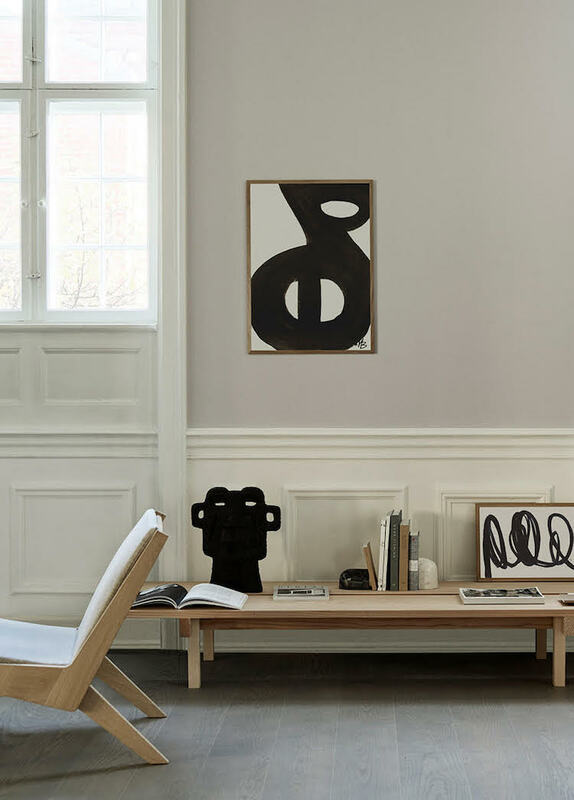 This is why I was super excited when The Poster Club* announced an exclusive collaboration with former fashion designer Malene Birger (check out her home here). Birger's art is expressed in strong, abstract and graphical forms, mostly developed in monochrome colours. As part of the collab, the six new prints have been styled by Dane - Pernille Vest and captured by Emil Monty Freddie in the beautiful Skagerak showroom (yep, it's a complete Danish family affair!). Here's a sneak peek! What do you reckon" Could you imagine having these in your home" I love them - especially with the oak frame. Want to pick one up" The prints are available here*.